I love this picture because I believe it captures the absolute essence of who Eli is. Prior to leaving on our mission trip to Nicaragua, I was warned that this would happen, but I really didn’t get it. I spent several days with two pastors who were father and son. The son was David (in Spanish speaking countries it is pronounced with a short “a” and the “i” is pronounced as a long “e” sound (Dah veed)) and the father is Eli (again the “E” is a short “e” and the “i” is pronounced as a long “e” so it’s pronounced “Ehlee”)). I’ll write another perspective piece on David later, but Eli was clearly the kind of person that makes me question my Christianity. From my perspective, Eli is three things. First, he is a single threaded guy with a laser focus. Second, he is a guy with a clear picture of how some people are going to heaven and the rest are lost forever. Third, he’s the perfect picture of what the Bible is talking about when it says “Well done, good and faithful servant”. Single Threaded: My impression of Pastor Eli is that one and only one thing matters to him. That thing is serving the Lord. He was the key component in our outreach to the Cabecar tribe and to the Nicaraguan pastors/churches. He raised a son and taught him that there is nothing more important than service to God and as a result his son also became a hard working Pastor. He is a leader in the bible church organization of Costa Rica and he is busy bringing the plan of salvation to Cuba. He is focused on one and only one thing. Always focused. Clear Picture: This is probably the most interesting part of his personality. Before we left on the trips that included Eli we were warned that we would lose Eli from time to time and when that happened you had to back track. I was told we would find him preaching the plan of salvation to someone somewhere and there was no way to predict when or where it would happen. This was not the first time it happened in the short time I spent with Eli and David but it was the only time I caught a picture. In this particular situation we had walked through a motorcycle repair shop. We got to the other side of the business where parts were sold, and walked out the door to get back into our van when someone noticed Eli was gone. We back tracked and this is what we found. For me, the amazing thing wasn’t that he was willing to share the plan of salvation as much as he did it so well that he shut this business down. The picture isn’t staged. It is obvious that the mechanics are totally engaged. It is obvious that Eli is intense and focused. The smiles and direction of stares make it obvious that his lesson is valuable. 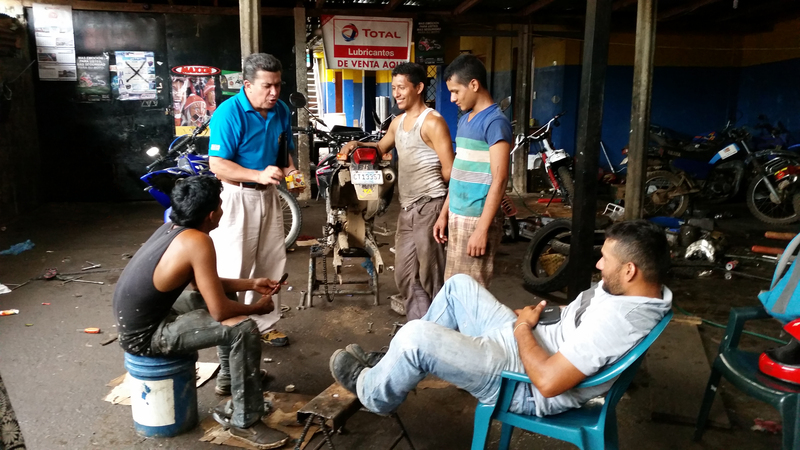 Eli has a clear picture of where these motorcycle mechanics will end up if they don’t understand God’s plan of salvation and he is clear on the priority of what he is doing against the importance of our schedule. Well Done: In the first paragraph I told you that I was warned, but I really didn’t get it. Now I do. Jesus is the perfect example of what we should strive for and how we should behave, but I think God gives us other examples too. Jesus is the perfect priceless painting, but a copy that is well done can provide an example that, although not perfect, can keep us aware of what our Lord and Savior is looking for. As I said, there are times when you meet someone who makes you question your Christianity. For me as a copy of Jesus, the copy is a bit too fuzzy. Eli is one of those “well done” examples and if I can manage to surround myself with God’s good and faithful servants (like this one) I can’t help but grow in the right direction. I was shocked. I do fence quotes all the time. Most of the people who contact us are very interested in the fact that FFO uses volunteers to build fences which allows us to donate 80% of our profits to help orphans and 3rd world churches. For most, that’s why they contact us. Because of this, I am often very encouraged by my conversation with perspective clients. But I recently sold a fence to a client an a follow-up conversation ‘shocked’ me. Her and her husband had already committed to have FFO build their 8 foot tall board-on-board fence with all the basic ‘nice’ fence stuff and with a driveway gate. After she had already told me they were going with us, she asked how much to add a cap and to ‘box in’ the posts? These are usually considered significant add-on niceties. I provided the new quote. The next day she replied, “..go ahead and put that we do want to box the posts and the 2×8 cap – might as well spend as much as we can to increase your profits! It is for the kids so I don’t want to cheap out!”. Her clear perspective shocked me, and I told her so. She then replied, “God has blessed us – and keeping it to ourselves is just wrong.” I was now shocked, and on the floor. Never before has a client expressed so clearly that they GOT IT! They live in the Matrix, AND they understand why. I LOVE it! P.S. I don’t want to “dis” our many other great hearted FFO clients. I know many of our clients have the same perspective because we’ve discussed it. I had just never had someone put it so clearly in ‘words’ and in action by letting us build their fence. How God could multiple His blessings to us for His glory and the benefit of others if only we all had that same perspective about everything in our lives. I wish I could do that myself. It’s just hard when you live in the weeds of the world. And in our area, the world’s weeds abound. What a delight it is to be here in Costa Rica and see all that God is doing. 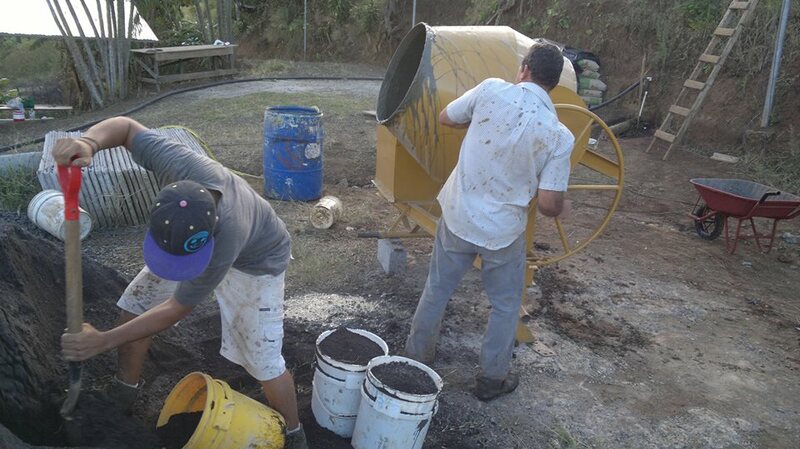 Last summer we brought two teams to Atenas to help with a construction project at Iglesia Biblica. The children’s building was in terrible repair. Funds were raised by Matrix and The Brook and two teams were assembled to come and assist with the project last summer. It’s so exciting to return and see the building finished and hear about how God continues to expand their ministry at Iglesia Biblica in Atenas. For those of you who contributed with funding, prayers or time on a team here in Costa Rica please know that you have made an eternal impact in this church and in many lives! Here are some photos. If you’ve never experienced a short-term mission trip you’re missing out! Contact us for opportunities to join us in Costa Rica this summer as the work here continues. Delight yourself in the LORD and he will give you the desires of your heart. Commit your way to the LORD; trust in him and he will do this: He will make your righteousness shine like the dawn,the justice of your cause like the noonday sun. Have you ever had those times when so many large positive things are happening that you can’t keep up? That’s been happening to Matrix Ministries for the last several weeks. First, we had the largest end of year donation season in our history. With the donations given, we will be able to recover from past fixed income shortfalls, and we are in a good position for running the ministry for 2014. Thank you so much to all who jumped in to help with that campaign. This will be our 1st project with Pastor Oscar. Thanks to our FFO volunteers and The Brook partners, the funds came through BIG time for the materials (see my last blog). We have a team of 5 going on the trip. One is a MM Costa Rica Trip veteran (this will be her 3rd trip). One has been on mission trips with me before to another country. 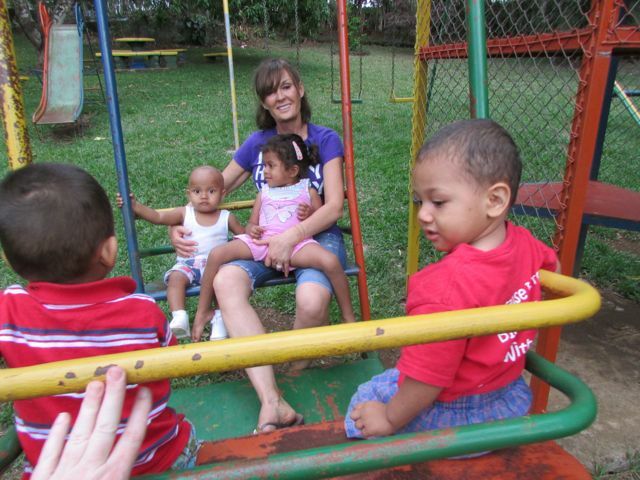 1st time on a Costa Rica mission trip. One is a new, but very committed Fences for Orphans volunteer. 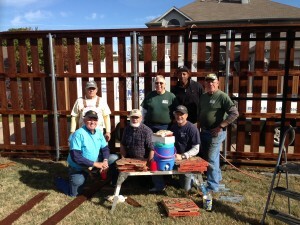 That means he personally helped raised the funds for the materials with his manual labor here at home. Now he gets to go put hands-on the building in Costa Rica. He is also a retired missionary from Ecuador where he and his wife served for 21 years. And, he’s fluent in Spanish. This man is Acts 1:8! I got to have breakfast with a young local couple from McKinney who are considering becoming missionaries to Costa Rica who were considering coming on the trip (maybe next time). Loved hearing their story and heart. I am so excited about this trip. A lot of firsts. We’re going to have a great time. Not too late to jump in. Contact me if you want to go! 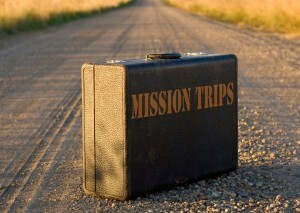 Yesterday, I received news that a proposed trip we’ve been working on with Cookson Hills Children’s Ministry is a GO. 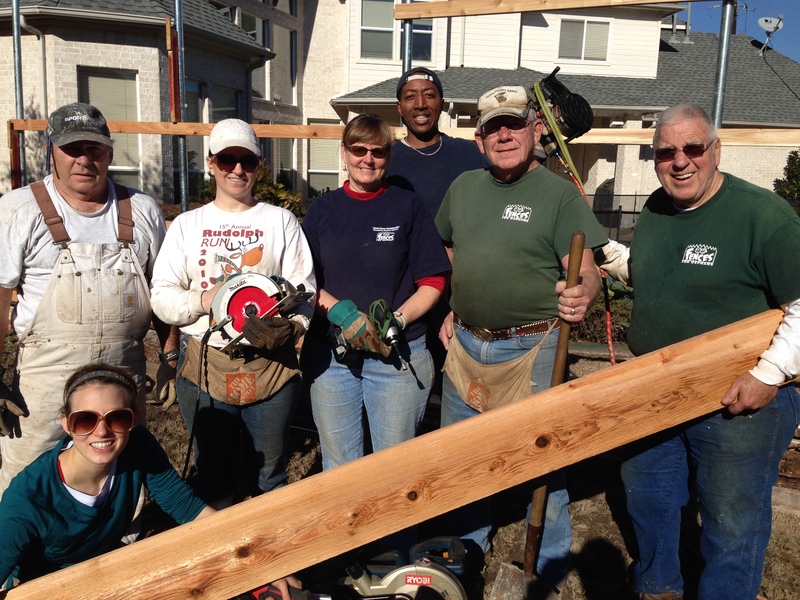 If you remember, we took a team of 5 to Cookson Hills last Fall to work on new children’s home construction there. However, this one is a reverse trip. This time, Matrix Ministries is taking a team of Cookson Hills High School Seniors to Costa Rica. 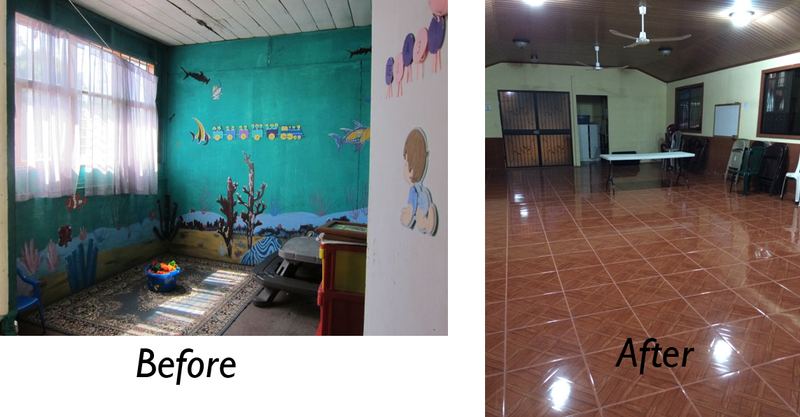 We’ll be spending time the orphanage (Hogar de Vida) we partner with there, as well as staying at Casa de Lucas and working with a local church. BTW – We have a Cookson Hills Mission Trip coming up in March where we will travel again to NE Oklahoma to do additional work on their new children’s homes. Stay tuned for a communication and signup opportunities for that trip. March 16 – March 22. Cost will be $300 and includes all expenses. A thought – Is it LOVE without SACRIFICE, or just CONVENIENT SERVICE? I love writing articles where I get to express how God is moving. He is always at work, and He faithfully uses His people. And, what I’ve discovered, is that He usually uses more than one person. 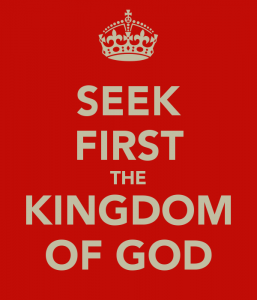 I think that’s a great picture of the Kingdom of God. When that happens not only does He get the glory, but more of His children receive a blessing and more of them get to see a bigger picture of their Father’s Kingdom. 1) we take people on short-term mission trips to come along side orphan caregivers and 3rd world churches. 2) under a dba called Fences For Orphans, we build fences for homeowners here at home in the DFW area. 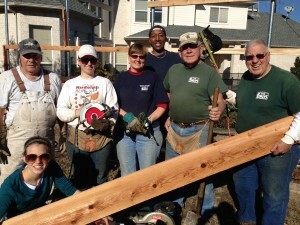 We charge a competitive market price, but we use volunteers. That lets us donate 80% of the profits to help orphans and 3rd world churches. Homeowner have the option to designate the donation to orphan care or church projects. This creates a great win-win-win scenario for the Kingdom. During this past Fall season we were able to raise a little over $7,000.00 designated to help 3rd world churches. Last week, we sent that to The Brook Ministries in Costa Rica. The Brook is one of our ministry a partners with many 3rd world church connections. The $7,000.00 was offered as a ‘match’ designated to help put a roof on a new church building for Pastor Oscar and his fellowship (fyi – the roof project will cost $20,000.00). The Brook then offered the $7,000.00 to their ministry partners, and guess what happened? The match was accepted and even exceeded by $3,000.00. That’s right, the $7,000.00 became $17,000.00. Praise God for His faithfulness as He works through His children! The Brook is now ‘reverse-challenging’ MM to raise a ‘matching’$3,000.00 in response, which we intend to offer to our partners shortly. 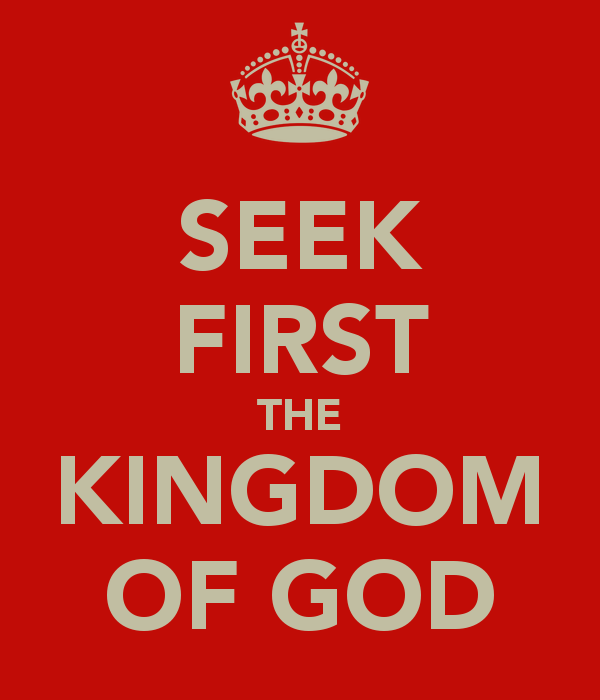 This ‘matching’ approach is a great multiplication factor for the Kingdom and all involved. The investment for the homeowners and volunteers doubles right from the start; Additional financial partners have the opportunity to get involved, and their investments double as well; and, the blessing to come alongside our brothers in 3rd world church ministries doubles. This is God’s economy. I call Him the Great Multiplier. If you look through scripture you will see this principle repeated over and over again, and He invites all His children to participate in His economy of Kingdom investing. This ‘reverse-matching’ reminds me of a praise game I have witnessed and participated in at several Christian youth conferences over the years. One side of the auditorium starts chanting, “We love Jesus, yes we do. We love Jesus, how about you.” The other side responds even louder, “We love Jesus, yes we do. We love Jesus, how about you.” This continues until people can’t shout any louder, their voices have given out, or everyone is just worn out. I always loved it because it’s an example of God’s desire that His children spur each other on to good works and in the process God is praised and glorified. This is our first reverse-challenge, and I’m excited to see what God will do through His people. Stay tuned. What I love most, as great as all this ‘matching’ and fundraising is to witness and be part of, is the eternal impact it enables for individuals who respond to the resulting church ministries; the eternal investment stored up for all who invest; and the glory our Lord receives as the world watches (and they are watching). Jesus said in John 15:8 – “This is to My Father’s glory, that you bear much fruit (the multiplication factor) showing yourselves to be My disciples”. My 1st mission trip……. Thank you so much Ray and Cate for taking me with you. I will be back to Hogar de Vida for sure. I had expectations, some were met and some were exceeded. I also must thank Tim and Dena for their hospitality, friendship, and ministry. I’ve not been able to think of much else since I got home yesterday. Still processing the changes in me. A experience of a lifetime and I thank God that He laid on my heart the desire to go. I will also have to go and get some more LOVE from the beautiful children at Hogar de Vida!!!!!! Yesterday I was doing some planning for our 2013 Mission Trips to Costa Rica. The thought came to me that we needed to formally map out all the projects we are planning and determine how much money we’ll need to raise to accomplish them. 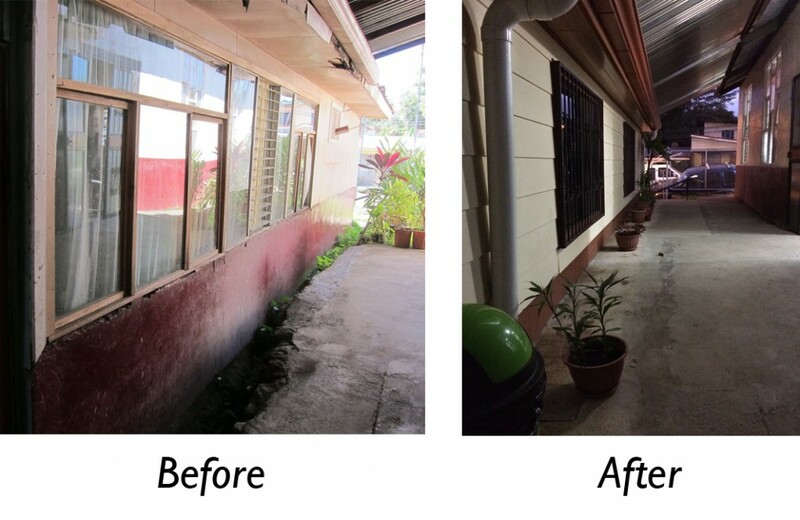 Last year we took on projects as we had funds donated. This year we’ve taken on projects where we feel God leading us and we’re depending on Him to show us how to get it done. Coming from the business world, I have to laugh a little bit as I think how crazy this would seem to some people. One of the questions in my study this morning asked how do you handle those decision points in life when you have to decide if you trust God enough to move forward with something that you know you cannot possibly accomplish on your own? That hit me like a smack on the head. This theme has been popping out at me in scripture over and over in the last year, so I guess God wants me to hear it loud and clear. I’ve been a Christian for many years and most of those years I’ve been focused on doing things in the areas that I felt God has gifted me. While there’s nothing wrong with that, in some ways I realize how much I’ve been leaving God out of the loop. Hey God, thanks for allowing me to have a singing voice and some spiritual gifts that will be helpful to others. I’ll go off and serve you with those. See ya later. How often does this happen? I bet a lot of people are walking through life doing the very same thing. Not only do we miss out on some amazing things God has for us to do, we miss out on the absolute joy of experiencing what He can do through us that it so obviously not of our own doing, but through His power. It’s an exciting ride. Get on board!